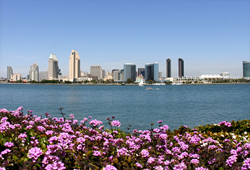 New Medical Conference for Urgent Care and Emergency Medicine Primary Care providers introduced by Continuing Education Company for October 7-9, 2016 at the San Diego Hilton Resort & Spa. There has been a definite need for a quality Urgent Care and Emergency Medicine Medical Education Conference for Primary Care providers. We are very excited to be presenting this inaugural conference!. Continuing Education Company, a Primary Care medical education company, is pleased to introduce the inaugural conference on “Emergency and Urgent Care Medicine for the Primary Care Provider” to be held in San Diego at the Hilton San Diego Resort and Spa on October 7-9, 2016. Urgent Care medicine involves the delivery of immediate medical care for the treatment of acute and chronic illness and injury. Practitioners providing urgent care need to be proficient in evaluating and caring for patients presenting with a broad range of acute medical problems. As a result, urgent care medicine requires clinicians to have an extensive scope of knowledge and expertise in the evaluation and treatment of acute medical conditions in all age groups. This conference will focus on timely and practical issues involving emergency and urgent care medicine. Sessions will provide the latest evidence-based information on the evaluation and treatment of acute emergency conditions. Each session will provide best practices for use in an outpatient clinical setting. Discuss the clinical presentation of the acute disorders seen in the primary care setting. Identify the role of the primary care clinician in the management of acute disorders. Utilize current advances in the diagnosis and treatment of acute disorders, using whenever possible, an evidence-based approach. Delineate which patients require immediate hospitalization and additional care and those that can be successfully managed as outpatients. This CME conference is designed to educate primary care physicians, nurse practitioners, and physician assistants. Barbara Lyons, CEC VP says "There has been a definite need for a quality Urgent Care and Emergency Medicine Medical Education Conference for Primary Care providers. We are very excited to be presenting this inaugural conference!. Continuing Education Company, Inc. (CEC) is an independent, non-profit, 501 (c)(3) continuing medical education organization . They have been developing and hold medical conferences for 24 years. Their mission is to develop and provide educational opportunities to improve the skills and knowledge of medical and healthcare professionals. They accomplish this mission by offering American Academy of Family Physicians (AAFP) accredited CME lectures, symposia, and conferences. Educational activities are developed with the guidance of Continuing Education Company’s Curriculum Advisory Committee. The committee, led by on-staff Medical Director, is comprised of physicians, pharmacists, educators who have extensive clinical and CME experience. The mission of Continuing Education Company, Inc is to improve public health by developing and providing educational opportunities to advance the skills and knowledge of physicians and other healthcare professionals.